A group of scientists in UK have achieved a medical milestone, by highlighting the use of lithium chloride in treating osteoarthritis. The evidence based research may just prove that the lithium chloride reduces the degradation of cartilages in joints. 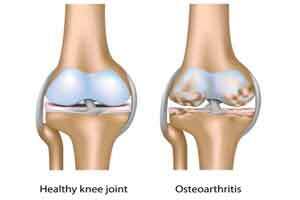 This condition causes tremendous joints pain and inflammation in patients suffering from this form of arthritis. “Osteoarthritis has a devastating impact on the lives of many people in the UK and it is vital that we look for novel ways to prevent it,” said co-author Martin Knight, a professor from Queen Mary University of London (QMUL). The researchers also found that long-term dietary use of lithium did not cause arthritis. “While we’re still at an early stage in researching lithium’s effects on cartilage and its suitability as a treatment, the possibility that an already widely available pharmaceutical could slow its progress is a significant step forward,” Knight said.